Make the moment perfect with a ring that fits. When you visit our store, you will be able to use our sizers to determine accurate measurements. If you are unable to come in, or want to keep the proposal a secret, use one of these options below! Measure accurately at home with a jeweler-grade ring sizer. We’ll send you one for free. View and print our ring sizing guide to immediately find measurements at home. Use the guide to find men’s or women’s sizes, and be sure to print at 100% for accurate ring sizing. Keeping the ring a surprise? We have a few ways of finding her or his ring size without letting the secret out. Borrow a current ring. 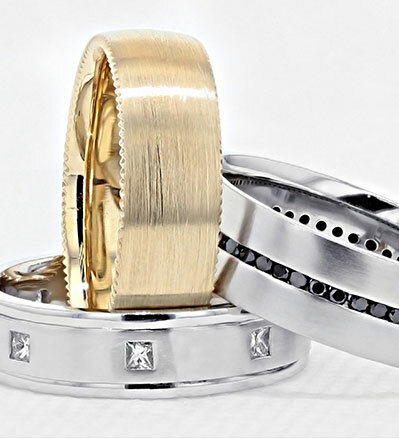 Your significant other may have a jewelry box with rings she or he already wears. Find one that is worn on the correct finger (ring finger, left hand – or approximate using one from ring finger right hand) and use our downloadable sizing tool to find the size. Ask mom. Or a best friend or other close relative. 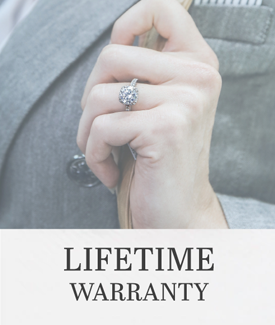 If they are not positive of your significant other’s ring size, they may be able to at least help you make an educated guess. Compare. Request our free ring sizer and ask a friend or relative who may have a similarly sized had to get her or his measurement. Use that as a point of comparison to approximate the size. Operation Shopping Trip. 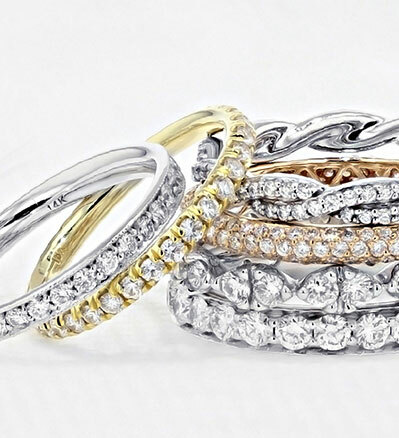 Ask a friend or relative to take your significant other on a shopping trip and encourage her or him to try on rings. That person can secretly make note of the sizes that fit and report back to you. Women’s sizes range 3-9, with 6-6.5 as the most common. Men’s sizes range 8-13, with 9-9.5 as the most common. If you are truly unsure, buying the average size is your best bet. If you are between sizes in your estimate, go with the larger size. 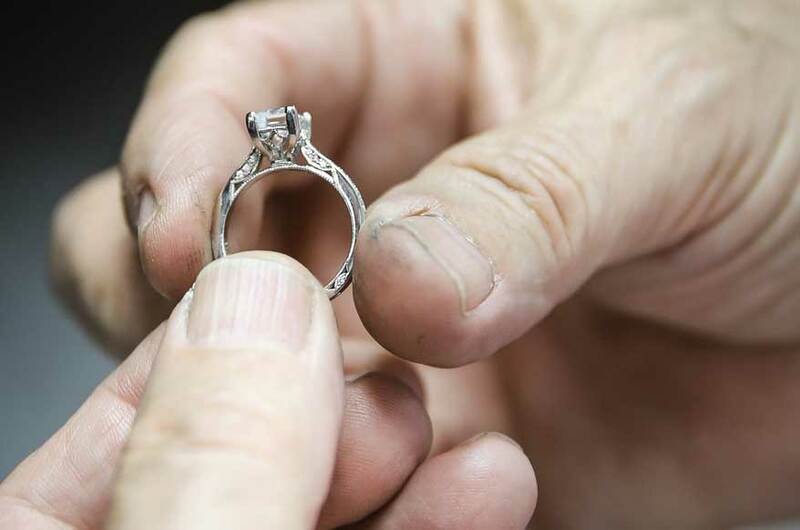 It is easier to make a ring smaller than larger, and if it is an engagement ring, you still want the ring to be able to slide up her finger when you propose. If you are approximating based on a friend’s size, ensure the measurment is taken at night and in a warm setting, as that is when the finger is at its full circumference. We offer 1 free resizing in the first year after purchase. 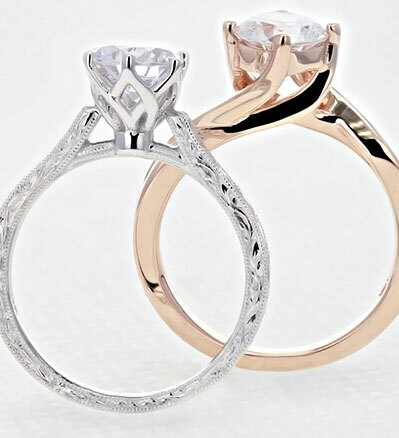 To preserve the integrity of the ring, we can only resize within one full finger size, up or down. If you’re in the area, drop off your ring with us and we will contact you when it’s ready for pick up. If you can’t come in person, ship your ring to us and we will cover the return shipping. 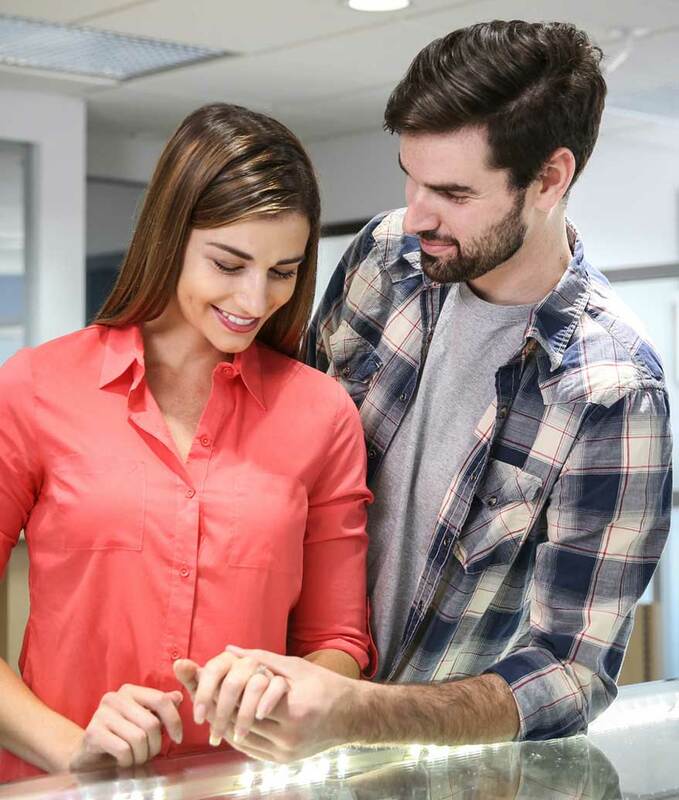 Located in the Los Angeles Jewelry District, our showroom provides customers with an opportunity to take a first-hand look at a variety of engagement ring styles.